Enjoy watching the Hardy "Rednecker" music video here . . . .
Hardy Rednecker was released in 2018 as a track on their “This Ole Boy” album. The Philadelphia, MS, native took it back to his roots for the clip, showcasing what it means to hold the title “king of the rednecks” – mudding and mattress surfing behind his jacked up 4×4, shooting catfish out of a lake and paintballs at friends, shotgunning Busch Lights, and putting “a little more spit in (his) chaw,” contest style. 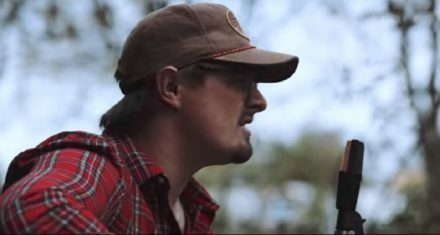 The music video was directed by Justin Clough and the video was shot on a farm in Cottontown, TN, The video features familiar faces, including some of HARDY’s songwriting pals Brett Tyler, Joe Clemmons and Benjy Davis. The rowdy group cut loose on the acreage, and proved once and for all that redneck isn’t just a word – it’s a lifestyle. Watch the video and check out the lyrics below. Hardy released his debut EP, This Ole Boy, in October of 2018, and he co-wrote all four songs. .